Lisbon’s answer to the Champ-Elysee is an elegant boulevard, linking the Praca dos Restauradores in the Baixa district to the Marques de Pombal roundabout and the Parque Eduardo VII. With its central location and grandiose styling locals refer to it as simply 'Avenida'. 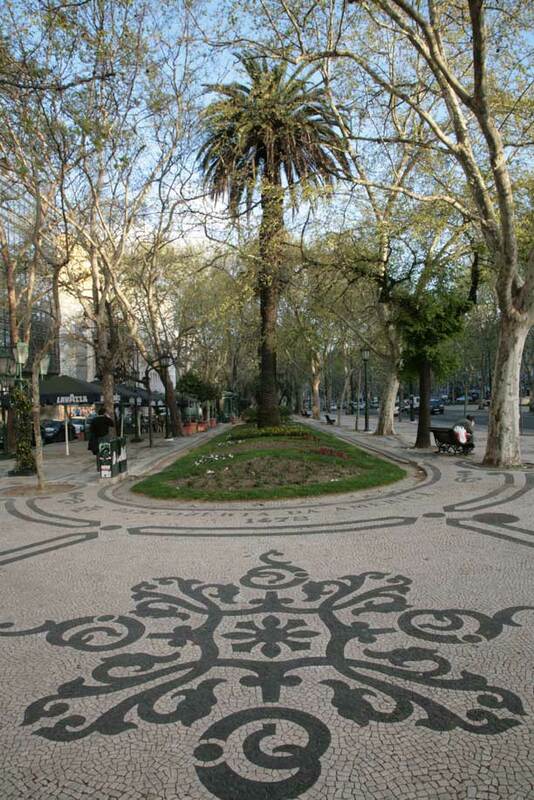 Built in the 1880s, the avenue’s multiple traffic lanes are divided by attractive parks and mosaic pavements. A number of statues and monuments can be found along its length, including a memorial to those who lost their lives in the First World War. There are still some fine examples of 19th century Portuguese architecture lining both sides of the thoroughfare, together with a few Art Deco structures. Today these are interspersed with a number of more recent office buildings and hotels. The boulevard is the place to come for designer shopping if that's your thing. Gucci, Dior, Stella McCartney, Versace and many more big hitters in the fashion world can be found here. Even if you’re not a frequenter of high-end fashion boutiques, this can still be a fun place to window-shop and maybe stop off in one of the small kiosks in the gardens or trendy bars along the way to sit and watch the world go by.